Take charge of your health and wellness naturally with tried-and-tested plant-based home remedies. Discover the therapeutic properties of more than 140 medicinal herbs such as turmeric, elderflower and ginger root with the Herbal Remedies Handbook. Reliable, authoritative and accessible, it's packed with expert advice and know-how on essential herbal remedies, including crucial safety and dosage information you can trust. Ever wondered how Echinacea tea could be used to treat a cold or ginkgo biloba to boost brainpower? Discover how to prepare effective home remedies with step-by-step instructions for making herbal teas, decoctions and tinctures. Identify how to treat more than 50 common conditions including headaches, hay fever, and the symptoms of menopause, with at-a-glance charts and remedies for home use. 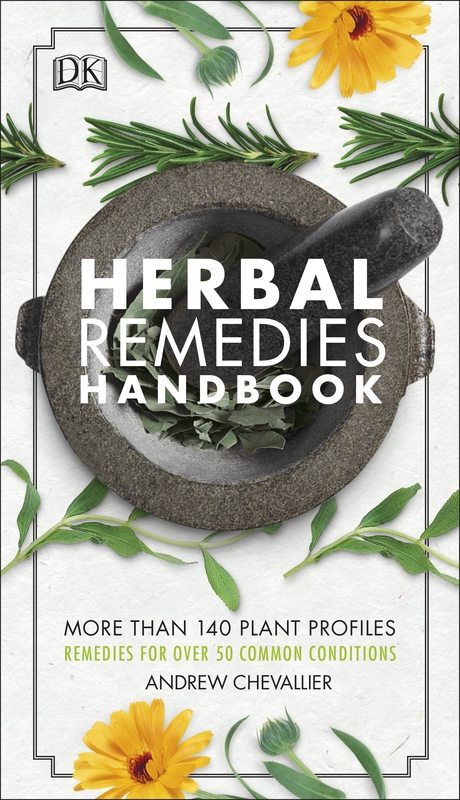 Compact and easy to understand, Herbal Remedies Handbook is the guide every home herbalist needs - let it be your trusted companion on the journey to natural health and wellness. With several new plants and an updated design, this book is a revised edition of Herbal Remedies (Eyewitness Companions).